Over the last two decades, anthropological studies have highlighted the problems of development as a discursive regime, arguing that such initiatives are paradoxically used to consolidate inequality and perpetuate poverty. 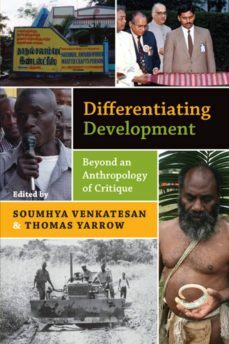 This volume constitutes a timely intervention in anthropological debates about development, moving beyond the critical stance to focus on development as a mode of engagement that, like anthropology, attempts to understand, represent and work within a complex world. By setting out to elucidate both the similarities and differences between these epistemological endeavors, the book demonstrates how the ethnographic study of development challenges anthropology to rethink its own assumptions and methods. In particular, contributors focus on the important but often overlooked relationship between acting and understanding, in ways that speak to debates about the role of anthropologists and academics in the wider world. The case studies presented are from a diverse range of geographical and ethnographic contexts, from Melanesia to Africa and Latin America, and ethnographic research is combined with commentary and reflection from the foremost scholars in the field.